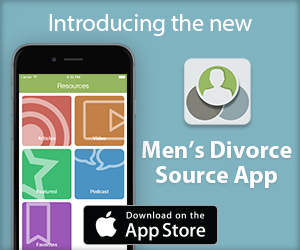 The DadsDivorce.com Weekly Newsletter is delivered to your inbox each Wednesday morning with the latest divorce news, videos, articles and other valuable resources relating to men’s divorce, alimony, child custody, child support, and many other family law issues. Be sure to add info@dadsdivorce.com to your address book to ensure you receive the newsletter. If at anytime in the future you no longer wish to receive the e-mails, please click the unsubscribe link in the newsletter.